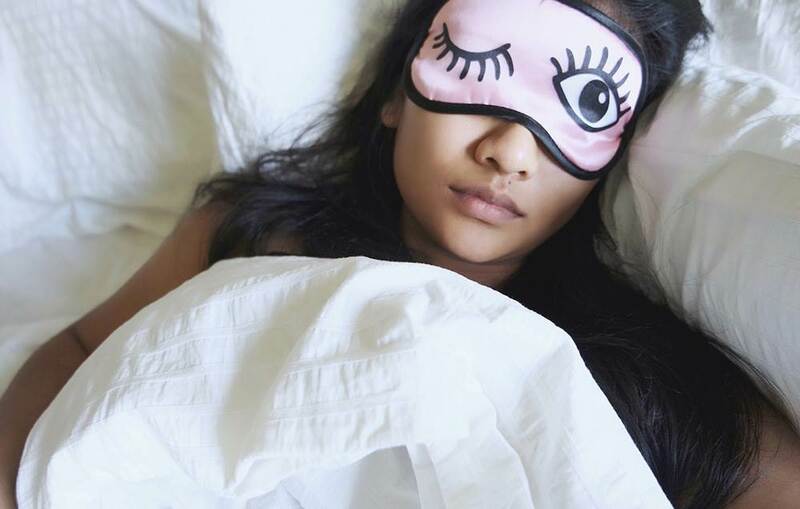 Simple but smart strategies to ease pain while you snooze. You try your best to call lights out at a reasonable time so you can get the recommended 7 to 8 hours of sleep. (Most of the time, anyway.) And yet your diligence isn’t really paying off, since you spend half the night tossing and turning in discomfort. Turns out, your go-to sleep position might be to blame. Laying the wrong way can exacerbate annoying issues from back pain to snoring and heartburn, stealing your dream time and leaving you exhausted the next day. Changing your position can help, though. Here, experts weigh in on the best positions for 5 common problems that can make snoozing uncomfortable - and share tips for keeping proper form all night long. That buzzsaw-like sound isn’t just annoying for your partner. Loud snoring might even wake you up—and it can leave you with a dry mouth or sore throat in the morning. Snoring happens when your throat or tongue muscles relax, so your tongue falls toward the back of your throat, says sleep specialist Dr Meir Kryger. That narrows your throat, which partially blocks the flow of air and creates a snoring or snorting sound. Thanks to gravity, sleeping on your back makes this problem even worse. A much better bet: staying on your side. “Your tongue will fall forward and your jaw will move slightly forward,” explains sleep expert Michael Breus. As a result, you’ll likely breathe more quietly. If you’re plagued by a sore lower back, sleeping in a position that helps your spine stay properly aligned can make you more comfortable. The best way to do that is by snoozing on your back or on your side, says sleep expert Dr Michael Perry. Try to avoid sleeping on your stomach - it puts your spine in a funky position by arching your back and turning your neck. Using pillows strategically can also make a difference. 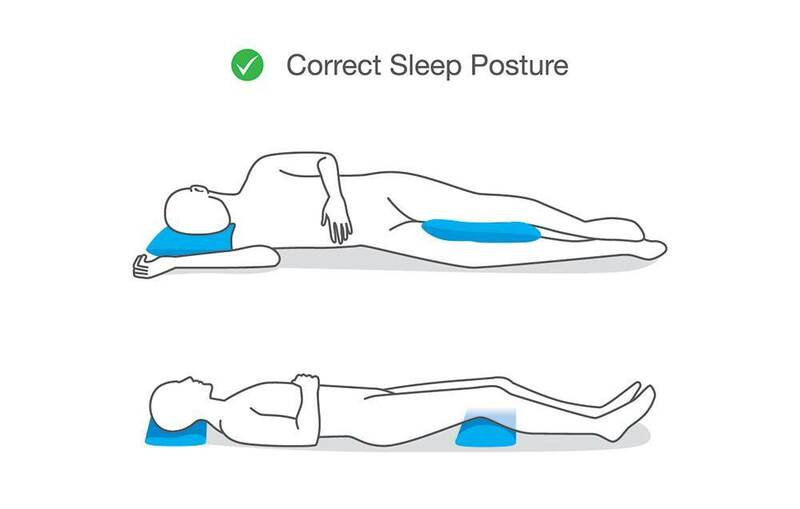 If you sleep on your back, stick a pillow under your knees to reduce pressure on your spine and keep it from arching, Perry says. For side sleepers, a pillow tucked in between your knees will keep pressure at bay by helping your hips stay properly aligned. As an added bonus, snoozing on your back can relieve some of the pressure caused by the heaviness of your breasts, which means you'll be less likely to end up with back pain during the day, says Perry. For the biggest benefit, sleep with a pillow wedged under your knees to help your spine maintain its natural curvature. Other than not sleeping on your stomach, there’s no one-size-fits-all position that works for everyone, say Breus and Perry. What you can do? 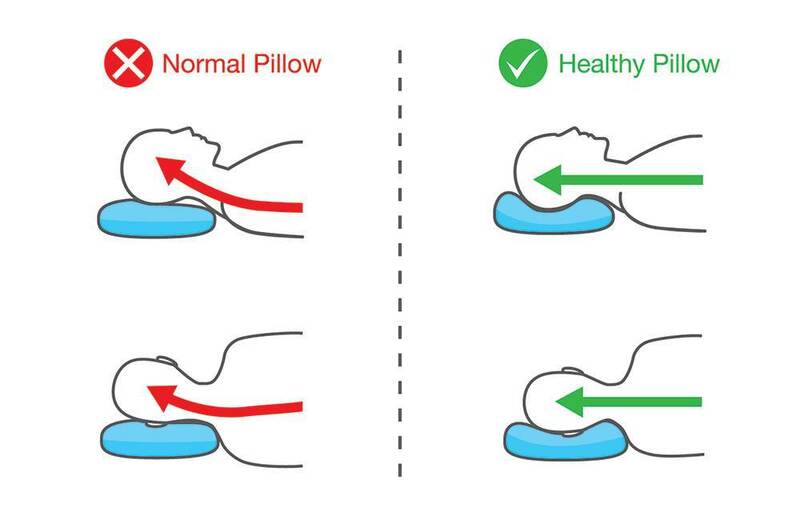 Pick a medium-firm pillow of medium thickness. “If it’s too soft or thin, it can cause neck strain that leads to upper back and neck pain,” Breus says. Reflux happens when acid from the stomach splashes up into the lower part of the esophagus, Kryger explains. One way to minimise that while you sleep is by keeping your head slightly elevated with an extra pillow. “In a more upright position, gravity helps keep the acid in the stomach,” he says. With your head propped up, you can try laying on your back or on your left side, depending on what’s more comfortable. Just don’t lay on your right, since some studies show that sleeping on that side can make reflux worse. “The theory is that sleeping on the right side relaxes the lower oesophageal sphincter and the gut acid leaks out, causing irritation,” says Breus. Of course, maneuvering yourself into the right position won’t do much good if you manage to toss yourself into an entirely different spot during the night. Using a sleep positioning wedge can help you stay put, says Breus. Or, if you’re a side sleeper and don’t feel like buying another product, try this hack: Wear a kids’ backpack to sleep with a football tucked inside, Breus recommends. Yup, it’s kinda weird. But the shape of the football will keep you from rolling over while you snooze.